Strata 2 Planter puts the beauty of nature into your working space. 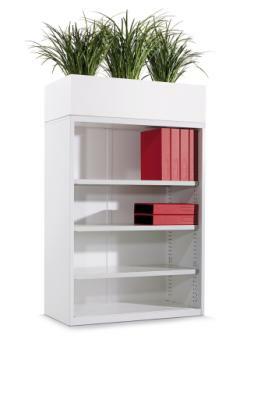 Strata 2 Planter, when integrated with Strata 2 Cabinets, merges the benefits of green scaping with the performance of cleverly designed storage spaces. Strata 2 Planter has the flexibility to be configured so you’re able to easily integrate green scaping into your environment. Every component of Strata Planter has been designed to achieve maximum strength and rigidity. Various design features have been carefully considered so plant maintenance is a breeze. Choose from plain or perforated options.